SBI Gold Deposit Scheme: One needs to deposit a minimum of 30 grams (gross) of gold. SBI or State Bank of India, the country's largest lender, offers Revamped Gold Deposit Scheme (R-GDS), a fixed deposit scheme in gold. A fixed deposit is a financial instrument provided by banks which provides a higher rate of interest than regular savings account, until the given maturity date, according to SBI. Under R-GDS, customers can deposit their idle gold which will provide them safety and interest earnings, said SBI on its website, sbi.co.in. Gold will be accepted in the form of raw gold such as gold bars, coins, jewellery excluding stones and other metals, it further said. 1. Eligibility: Resident Indians of categories such as individuals, proprietorship and partnership firms, HUFs (Hindu Undivided Family), mutual funds/exchange traded funds registered under Sebi (Securities and Exchange Board of India) and companies are eligible to invest in SBI's scheme. 2. Quantity: One needs to deposit a minimum of 30 grams (gross) of gold. However, there is no upper limit for deposit. Short term bank deposit (STBD): Tenure for STBD ranges from a minimum of 1 to a maximum of 3 years. Medium Term Government Deposit (MTGD): Tenure for MTGD is between 5-7 years. The deposit will be accepted by the bank on behalf of the central government. Long Term Government Deposit (LTGD): Tenure for LTGD is between 12-15 years. The deposit will be accepted by the bank on behalf of the central government. STBD: The interest rates under STBD are, 0.50 per cent p.a. for 1 year, 0.55 per cent for up to 2 years and 0.60 per cent for 3 years. MTGD: The interest rates under MTGD for 5-7 years are, 2.25 per cent p.a. LTGD: The interest rates under LTGD for 12-15 years are, 2.50 per cent p.a. In the case of MTGD & LTGD, the principal will be denominated in gold. However, the interest shall be paid in rupees annually on March 31 or cumulative interest on maturity. Under STBD, one has the option of taking a repayment of principal, either in gold or equivalent rupees as on the date of maturity. Under MTGD and LTGD, redemption of the deposit will be in gold or rupees equivalent of the value of gold as per then prevailing price of gold. 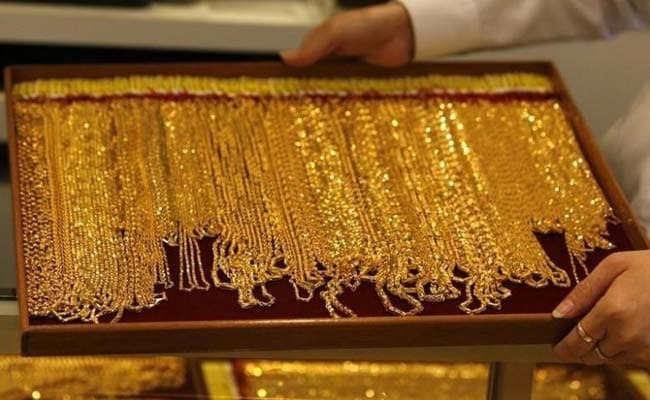 However, 0.20 per cent administrative charges will be levied in case of redemption in gold. Premature payment: Under STBD, premature payment is allowed after a lock-in period of 1 year with a penalty on applicable interest rate. However, a Medium Term Government Deposit (MTGD) is allowed to be withdrawn any time after 3 years and a Long Term Government Deposit (LTGD) after 5 years. Premature penalty will be as per RBI notification.